In short, the reason people bother with comparison shopping is to save money. Whether it's on your weekly grocery bill, a gorgeous sweater you've had your eye on, or expensive purchases such as furniture or electronics, every dollar you save is a dollar you can spend elsewhere or save for a rainy day – perhaps retirement or that long-awaited vacation. Where many people get hung up with comparison shopping is that it can be a time-consuming process. For some people, saving a few dollars here and there isn't worth the time it takes to adequately search for the best deal or the extra hour of driving time it may require to get to the retailer offering the lowest price. While spending two hours comparing prices and searching for deals just to save a few cents is probably not the best use of your time, comparison shopping can be much simpler, less frustrating, and less time-consuming when you use the right shopping strategies and take advantage of the many tools at your disposal. If you can be patient, waiting a few days or weeks for a price drop can pay off. Consumers who wait for items to be discounted typically save between 30 and 50% on the cost of the item, according to Compare.com. And for those big-ticket items, shopping around is almost always worth it. For example, comparison shopping on certain needs – specifically, bigger purchases like car insurance – can save you up to 32% upfront just by shopping around for a better price. While your savings on smaller purchases may not be (but could be) as immediately gratifying, there's no question that comparison shopping is worth it if you can do it without a significant investment of time or effort. Saving a few bucks here and there – even a few cents on the items you purchase regularly – adds up to major savings over time. It's easier to compare prices between retailers when you're shopping online than it is to comparison-shop in brick-and-mortar stores. Comparing prices online requires a few clicks of the mouse rather than a few gallons of gas and several minutes to hours of your valuable time. That's because online comparison shopping only requires a few clicks of the mouse, rather than a few gallons of gas and extra time. Keep in mind, though, that you can put some online shopping comparison tricks to work for those in-store purchases, too. Here are a few such tips and tricks to simplify your quest for great deals. First and foremost, just because you find a lower-priced item doesn't mean it's the best deal. There are other things to consider, such as shipping costs. While that blender may be $10 less at one retailer, the $15 shipping cost means you'll actually be forking over more cash for the same item. It's also a good idea to check out the retailer's return policies, particularly for items that you may need to return due to incorrect sizing or product malfunctions. 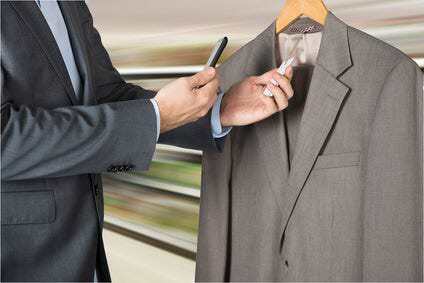 If you need to return an item, you might be on the hook for shipping costs or restocking fees. In the worst-case scenario, you're out the cash entirely if an item can't be returned. You can resort to selling it to someone else locally or online, but you may not recoup the full price you originally paid. Sale prices aren't always a good bet, either; just because an item is marked-down or advertised as on sale doesn't mean it's cheaper than at other retailers. In fact, Debt.com points out that some retailers actually mark prices up in order to maintain profit margins when items are marked down on sale. This often occurs right before the holiday season, so watch out for Black Friday "deals" that aren't really deals at all. If you're thinking about making a purchase that can wait until after the holiday shopping rush, it's not uncommon to see prices drop substantially after the holiday shopping frenzy, especially on things like electronics and the hot wish list items for the season. Additionally, there may be hundreds of individual models (sometimes thousands) in a single product category. While two products may look identical, it doesn't necessarily mean that they are. Check the manufacturer model numbers (not the retailer's model number or product identification number) to be sure that you're comparing identical products. Sometimes, the difference is little more than a sligthly different color or a different style power button, but these seemingly insignificant differences often mean a different price point. Another tip: Stay organized when shopping online. Yes, Amazon wish lists are convenient, but you can't add products from other retailers. The sheer hassle of trying to keep track of various online shops and retailers to keep tabs on the items you're watching can be enough to make anyone throw in the towel. Store-agnostic wish lists like Gift Hero are a better option, enabling you to keep your shopping completely organized across every retailer you shop at. So, if you're shopping for the holiday season, you can easily add the lowest-priced products you find from any retailer, meaning you're less likely to lose track of where you found those good deals – and less likely to end up paying more than you need to when you're ready to click the buy button. Store-agnostic wish lists are also a handy tool for avoiding those impulse buys: the items you buy on a whim but later regret purchasing. Instead of giving in to immediate temptation, add those products to your wish list and sleep on it before making a decision or while you shop around to find the best deal. You'll also want to read reviews when shopping online, but do so with a healthy dose of skepticism. Fake product reviews are a real problem (check out our guide to fake product reviews for tips and tricks on spotting fakes), and disingenuous reviews can easily lead shoppers astray. When it comes to comparison shopping, keep an eye out for signs of knock-offs as well as reviews that indicate customer service issues with the retailer, manufacturer, or vendor. Saving a dollar or two probably won't seem worth it if you end up spending hours on the phone with the customer service department – or spending twice as much as you paid for the product to ship it back. Don't disregard the value of the item you're purchasing in favor of a strict price comparison, Clearpoint suggests. For example, a professional chef (or even a culinary enthusiast who puts their knives to the test on the regular at home) will want to invest in high-quality knives, and they'll probably cost more compared to an ordinary set of kitchen knives. Likewise, a person who gardens regularly will probably want to opt for higher-quality pruning shears. For purchases like these that must perform to a certain standard and last, going cheap may actually cost you more in the long run. Say you decide to go with the lowest-cost knives available, and they cost $50 compared to the $100 top-quality set. If you end up replacing those cheap knives every six months, and the professional knives would last two years or more, you'll actually end up spending twice as much on the cheap knives in the long run. If you're struggling to make a decision, this worksheet from The Money Tree by IMB Bank is a helpful tool for comparing more expensive purchases. Comparison shopping in brick-and-mortar retailers doesn't have to mean driving from store to store and back again. Most of the time, you can apply the same tips and tricks to in-store shopping as you would when making purchases online. Yes, it even pays to read online reviews for products you plan to buy in the store, and you'll want to keep the value and quality of the item in mind regardless of whether you're shopping online or in a brick-and-mortar shop. 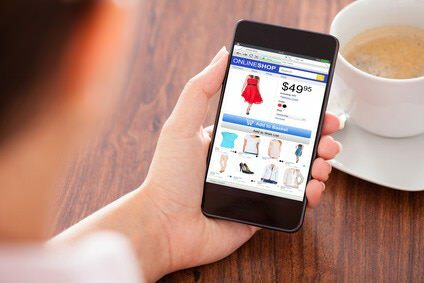 With many brick-and-mortar retailers now offering robust websites with the ability to verify whether an item is in-stock at your nearest location, you can even leverage online tools to price shop while you're standing in the middle of a retail store. Apps like ShopSavvy allow you to scan barcodes in a store, and the app shows you prices for the item at both in-store and online retailers, making it quick and simple to search for a better buy (or confirm that you're already getting a good deal). BuyVia works similarly, allowing you to scan barcodes or QR codes and showing you the best prices from retailers like Amazon, Target, and Best Buy. Oberlo lists 25 such price-comparison options, and PC Mag discusses a few of the best shopping apps in this post. We'll discuss these and other tools in more detail below. Some retailers actually have price-matching policies, meaning they'll match any competitor's price if you show proof that the identical item is being sold at a lower cost. Often, this is easily done by showing the retailer a copy of a competitor's advertisement, circular, or even a printout of the product listing page from the competitor's website. Don't limit yourself to the big-box stores, either. Off-the-beaten-path retailers and specialty stores may offer better prices on some items. Some consumers even price-shop for groceries. While some shoppers prefer to scour the weekly circulars, clip coupons, and visit multiple stores to get the essentials they need at the lowest possible cost, others turn to wholesale clubs or buy in bulk to maximize their savings. But even wholesale clubs aren't always the best bet; Kerry Taylor, a financial journalist and blogger at Squawkfox, conducted an experiment and discovered that certain grocery items, such as fresh foods, aren't always offered at the lowest price at these types of stores. When it comes to purchases like groceries, it's easy to capitalize on the efforts of others (such as these tips from TheKitchn or this price comparison analysis at Clark.com) or conduct a little price-comparison analysis of your own to get the biggest bang for your buck. Are Those Extra Features Really Worth It? 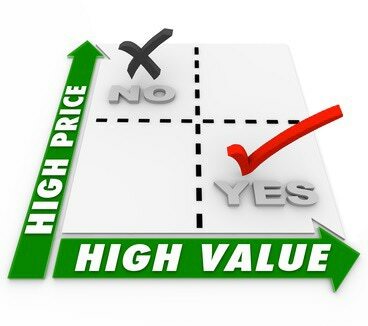 In most cases, consumers are comparison shopping for products such as electronics, clothing, appliances, and similar purchases – items that aren't exactly the cheapest or most expensive purchases, but things that cost enough that you want to get a good deal and a quality product that will last. 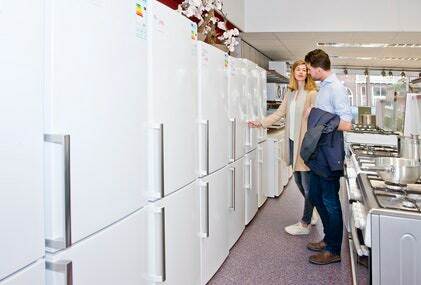 As mentioned for online shopping comparisons, there are often subtle differences between models that account for price discrepancies, and this is something you'll need to watch out for when you're shopping in brick-and-mortar stores, as well. Sometimes, though, these minor differences can actually be the key to scoring the best possible deal. For example, one toaster may have special add-on features such as a clock and an alarm to alert you when your toast is done, while another otherwise-identical toaster lacks these features but still churns out perfectly-toasted bread every time. In this case, if you're not at all interested in an alarm tone to let you know when your toast is ready, option B is a better buying decision. Also, consider whether those add-on features are worth the added cost: a toast-ready alarm may be a handy feature, but is it worth another $20 to you? Rewards programs shouldn't be overlooked, either. 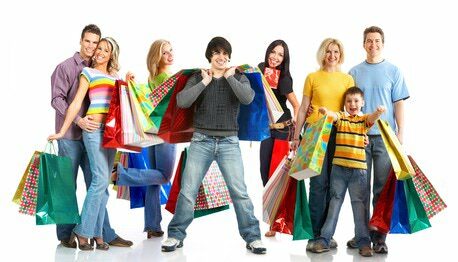 Many stores have rewards programs that offer special discounts for members, or discounts after reaching a certain purchase threshold. These programs are popular; the average American household has 22 different loyalty program memberships, according to Consumer Reports. No one wants to carry around 22 different loyalty cards, but you can ditch all those cards by using a loyalty card app that stores all your loyalty program info in your phone – so you can take advantage of all those perks and discounts without having to dig through your wallet to find a card. Make sure you understand the value of those rewards and factor in those potential savings when comparison shopping. Be careful, though, that you're not over-valuing a reward that's not actually useful to you. If you earn a free product after purchasing 10 different items, but you have no use for said free product, is it worth spending more on those 10 items if you could get them cheaper elsewhere? Also, avoid over-purchasing items you likely won't use just to earn a particular reward. How can you best utilize these tools to quickly find the best deals? Consumer Reports suggests starting with PriceGrabber, which in their tests produced the best deals and was the easiest to use. They do note, however, that no single comparison shopping search engine consistently produces the lowest-priced deals, so you should always try more than one comparison shopping site to confirm that there are no lower-priced options elsewhere. Another helpful tip for using comparison shopping sites is to be specific with your search queries. For instance, searching for your favorite celebrity, band, or musician can result in a variety of different products, from posters to books, or even headphones or clothing (particularly for celebrities that have developed their own fashion lines). So, if what you're actually looking for is music or a movie, use those qualifiers in your search query, such as "Kelly Clarkson CD," "Jennifer Lawrence movie," or "Brad Pitt DVD" (better yet, use the specific song or movie title combined with these search terms). Consumer Reports also points out that the prices listed on search results pages aren't always the most accurate. To verify prices, you should always click through to the actual product listing page. Other websites scour the web for the best deals available and curate current deals by category, such as Brad's Deals and DealNews. Woot is another such site that offers daily deals and limited-time offers across seven categories such as home and kitchen, electronics, sports and outdoors, and more. If you happen to be an Amazon Prime member, you'll get free shipping on all purchases from Woot (Amazon purchased Woot in 2010). And don't forget about cash back options; sites like Ebates and ShopAtHome offer cash back on your online purchases, as well as other deals and discount offers. You can even store loyalty cards in your iPhone Wallet app or in Google Pay to completely streamline the entire buying process without sacrificing a single discount. Wallaby is another browser extension with a unique spin: rather than applying coupons automatically, it helps you make sense of all your credit card rewards and recommends the best card to use for each transaction to maximize your rewards. Check out our list of the 50 best shopping apps to turn your phone into a money-saving machine. Comparison shopping once meant driving from store to store and flipping through dozens of circulars to get the lowest prices, but that's no longer the case today. With retailers always looking to one-up the competition, comparison shopping can result in big savings. And when you leverage some savvy shopping tricks, it doesn't even require a lot of effort.